Running is one of the most popular and accessible forms of exercise. It is important to wear proper sports attire to maximize comfort and minimize injuries. Furthermore, investing in good sportswear can help you get the most out of your exercise. 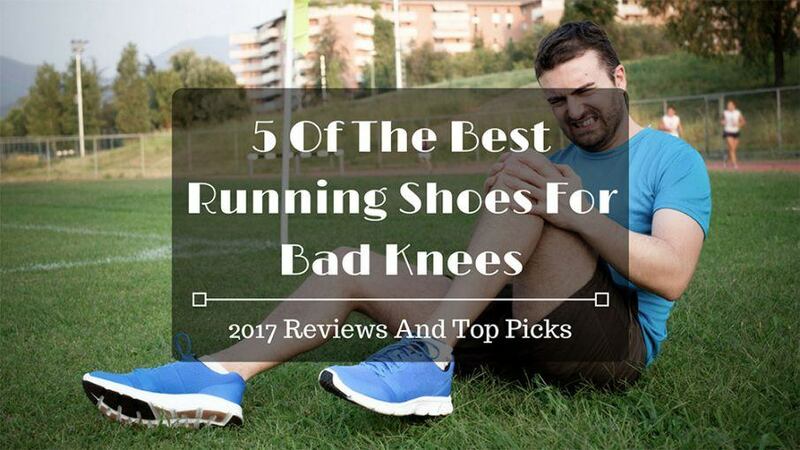 Today, we will be listing down some products to help you find the best running shoes for bad knees. We’ll also list down different factors to consider which can help you decide which shoe is the best for you. Running shoes are one of the sportswear that you should not skimp out on. Your shoes are meant to last through different kinds of terrain, and other forms of wear and tear. When cared for properly, good shoes can last for years. There are plenty of factors to take into consideration when it comes to choosing a good pair of shoes. It is also important to note if the shoes can address your specific needs. You wouldn’t want to spend so much and still not have the perfect pair for you. Good running shoes are an investment. They might be pricey, but we want to make sure you get the best quality for your money. 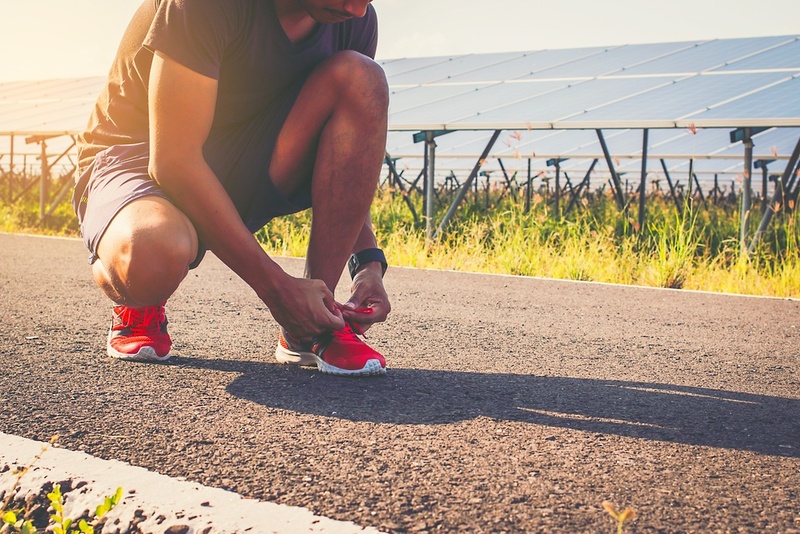 Here are some things you should look out for in your search for the right pair of running shoes for you. 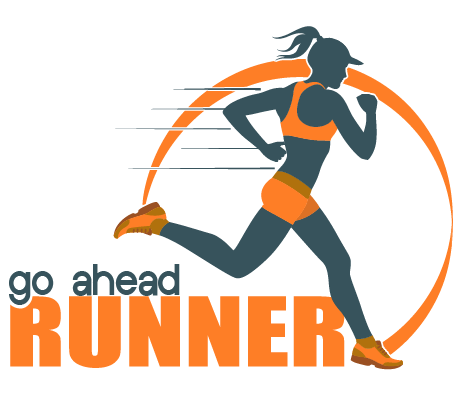 First, you should determine what kind of running you will be doing. There are several types of running shoes for different kinds of runners. The four main kinds are a cushion, stability, motion control, and minimalist running shoes. Cushion running shoes are ideal for people who have normal to high arches. It is very flexible and provides shock absorption. On the other side of the spectrum, minimalist running shoes provide less shock absorption for a different running experience. Stability and motion control running shoes are for people who have overpronated feet. This is when your feet tend to roll inwards when you run, making you more susceptible to knee injuries. Motion control shoes are preferred for severe overpronation. Furthermore, you should also take into consideration the environment where you plan to use your shoes. 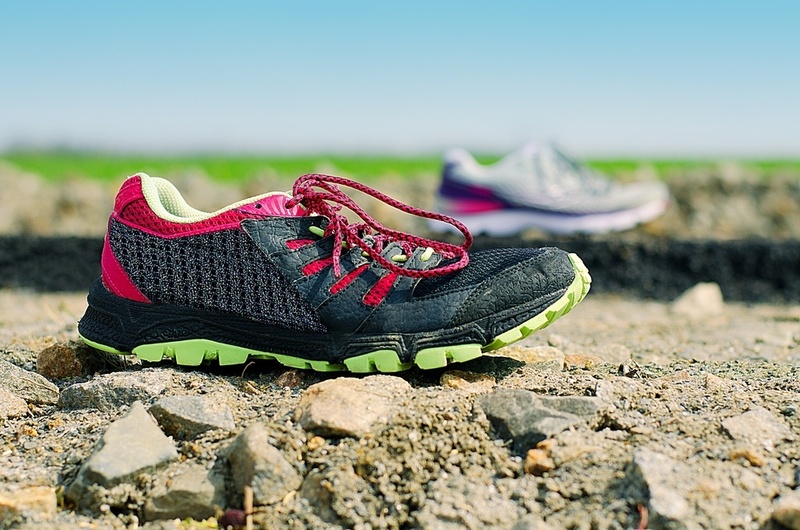 Different terrains require different kinds of running shoes. For example, a rugged trail would need sturdier shoes than ones that are meant for normal roads. Different parts of running shoes are made with different kinds of material. Choosing a shoe with the right kind of material based on your running style is important. There are three main parts of a running shoe: upper, midsole, and outsole. The upper is the outer layer of the shoe where the laces are found. It is advisable to pick a shoe whose upper is made of mesh. It is breathable and lightweight. For people who plan to use their shoes in wet environments, they can opt for waterproof material. The midsole is in between the insole and the outsole. It absorbs shock and provides support. The most commonly used material for the midsole is EVA foam. If you have pronated feet, the midsole material is important to address these problems. For example, people who have overpronated feet need shoes whose midsoles provide stability or motion control. This is mainly to counteract the foot's pronation and increase durability. It also counteracts the excess wear and tear caused by overpronated feet. The outsole is the part of the shoe that directly touches the ground. The material used here is important because you want it to give traction when running. Different materials such as blown rubber or carbon rubber will depend on where you usually run. Another important part of a running shoe is the insole. For this, you want something that fits comfortably and cushions your foot properly to prevent discomfort or injuries. However, you can also buy insoles separately to suit your needs. It is important to get shoes that fit well. A common misconception is that a shoe has to fit tightly when there should be some allowance. Plenty of injuries is caused by ill-fitting shoes. Therefore, it is important to make sure your shoes fit snugly. Running shoes’ sizes tend to vary between different brands. For example, a size 10 in this store could translate to a size 9 in another one. 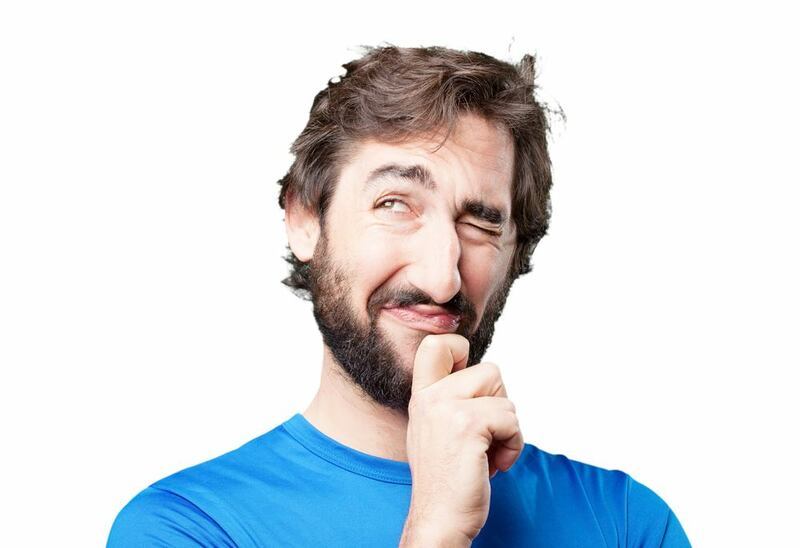 When in doubt, is it better to measure your foot and use that as a basis for the shoe size. It is common for people to buy shoes a half-size or a whole size bigger than their actual foot. This gives them some space in the toe area. This is important because we do not want our feet to feel cramped inside the shoe, especially if we will run for a long time. However, these are only the basic factors to keep in mind. There are plenty of other characteristics that come into play such as your budget. Furthermore, there is no one shoe that can do everything. It is best to keep a variety of shoes for various purposes. These are just some guidelines you can keep in mind to make a more informed purchase. It pays to properly know what you are buying so you can get the most out of your money. 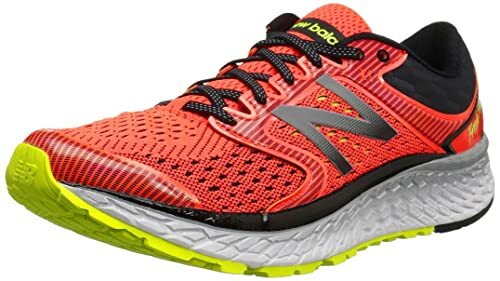 The New Balance M1080v7 Running Shoe provides extra cushioning and good shock absorption. Its roomy toebox gives for more comfort while walking or running. The outsole is made of blown rubber which makes it flexible and comfortable. This pair is made for comfort which makes it an ideal pick for those who have knee problems. These are also made to fit perfectly for different kinds of feet, from narrow to wide. It is constructed to last for plenty of miles while providing the utmost support. Its materials were chosen to provide the best comfort. The upper is made of mesh, making it lightweight. The midsole is made with New Balance’s signature Fresh Foam that promises to cushion each step. It comes in a variety of sizes, including sizes for wide feet. The extra cushioning makes it ideal for people who have problems in their knees or ankles. It is a cushioning type of shoe which makes it better for people who have neutral or supine feet. If you have bad knees as a result of overpronation, these shoes may not help as much. The wide sizes might not be sufficiently wide enough depending on how wide your feet are. The toebox area might pose a problem on wider feet. 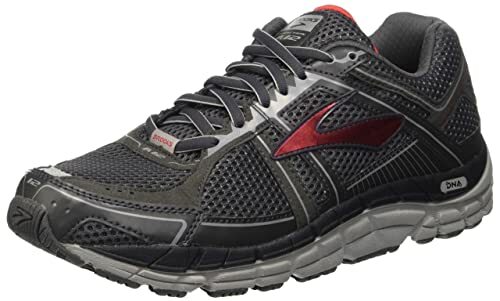 The Brooks Men’s Addiction 12 is a shoe made for people who have moderately to severely overpronated feet. Its upper is made for combating moisture to keep your feet fresh all day. It has adaptive cushioning, which means it can fit a variety of runners. Its outsole is made to last the wear caused by overpronated feet, increasing the shoe’s durability. It is also made for the wearer to have smoother landings and heel-to-toe transition. It is also great for running on paved roads. Its upper made out of mesh keeps the feet cool and dry. It has a removable insole. It is specifically made for people who have overpronated feet or flat arches. Its cushioning and support makes for a comfortable pair of shoes. It does not offer a very wide variety of colors. 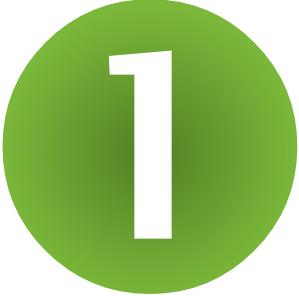 There are only three variants whose base colors are either black or gray. The major difference is spotted on the Brooks logo on the side which comes in black, blue, and red. Sizing is not consistent which might require you to order a half-size lower. The outsoles and stitching are not as durable as other shoes. The ASICS Gel-Kayano 23 is a shoe that boasts lightweight cushioning for a comfortable run. Its upper is seamless and stretchy, increasing support and ensuring that it fits snugly onto your feet. It offers great shock absorption and smooth transitions. Also, its insole also has a sock liner which maintains moisture and provides breathability in your shoe. Areas of the outsole which were more susceptible to long-term damage were given an extra layer of protection. This adds to the shoe’s durability. These shoes are comfortable and do not cause knee pains in the long run. They are also very lightweight which makes it ideal for long uses every day. They have a wide variety of colors, ten to be exact. These are made for people who have neutral to moderate foot pronation. The sizes might not be accurate, so you might need to order a half-size or even a whole size bigger. The toebox may also feel a bit small which could cause discomfort. The soles tend to wear earlier than expected which might concern some people. These shoes do not cater to people with severe overpronation. 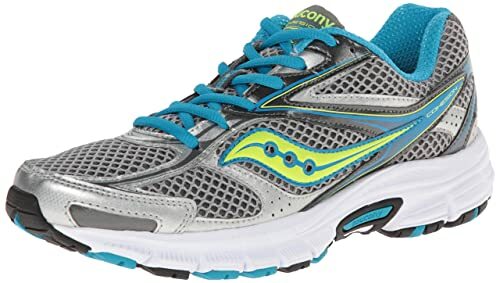 The Saucony Women’s Cohesion 8 Running Shoe is made for neutral to supinated runners who want some cushioning. It is very breathable, its upper made of mesh and lined with fabric. It takes pride on the comfortability of the shoe inside and out. The outsole has grooves on it for added flexibility. Furthermore, it provides great shock absorption and will last you a long time. Best of all, this pair is on the more affordable side at roughly $60-$80. However, this does not mean it skimps out on quality! The midsole is well-cushioned, which makes it good to use for long periods of time. It is made of breathable materials, so your feet stay fresh all day. You can also remove the insole to add more support. They are very affordable compared to other shoes on the market. 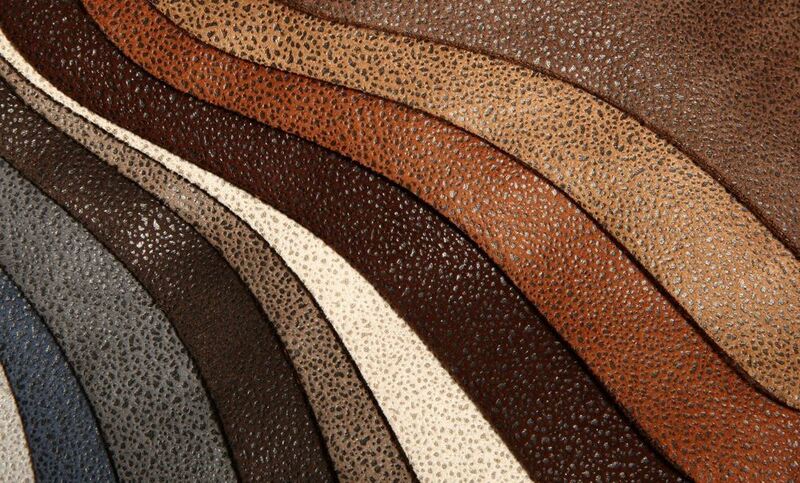 They have a decent range of colors and designs, making it easier to find one that suits your taste. The sizing may be a bit inaccurate. You might need to go up a half or whole size. These shoes run a bit on the wider side. It might not be a good fit for narrower feet. 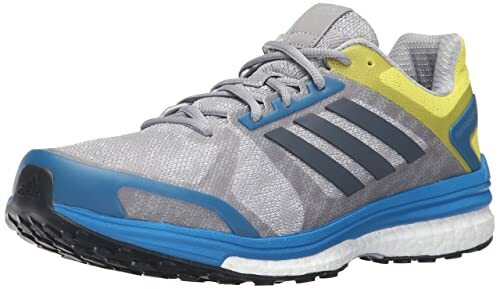 The Adidas Supernova Sequence 9 are classified as stability running shoes. With superb cushioning technology, these promise to keep you running all day. Its midsole’s cushioning is responsive, allowing you to use your energy efficiently while you run. Like the other shoes mentioned, its upper is breathable and overlaid with synthetic fibers for added support. Best of all, these shoes have outsoles that grip whether you are on the wet or dry ground. Its outsole is also flexible which can adapt to your running style. These shoes have good stability. It is specifically made as a stability shoe for mild to moderate overpronators. Its outsole is made to be used in various terrains, helping you retain traction even on wet ground. They are quite affordable as they range from around $75-$100. They have a limited color selection. The sizing is a bit inaccurate. You may have to buy these a half-size or a whole size lower than your usual foot size. They do not have sizes for wide feet. If you want a pair of shoes that are comfortable and budget-friendly, the Saucony Cohesion 8 is the best pick. It is the cheapest out of the five shoes mentioned, and its insole can also be replaced. This is good if you need a more specific one to address your problems. It has a decent color selection and great durability. This is the most bang for your buck option out of the five. However, this does not mean that the other shoes are not of good value either. In the end, what matters is that you get the shoe that is right for you. By looking at its features and matching them to suit your needs, you can make the correct purchase. Remember, good running shoes are an investment. 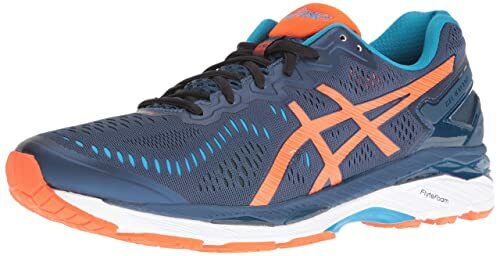 Top 5 Of The Best Running Shoes For Flat Feet – Don’t Shop Until You Read This!